Click here to see the 2019 program of events. The 2019 Undergraduate Writing Symposium will be held Sunday, March 31, in the John Seigenthaler Center (1207 18th Ave. South). 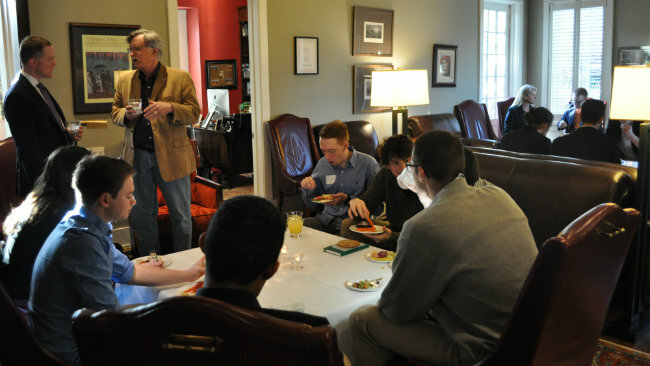 It will conclude with a reception and first-year writing awards ceremony. 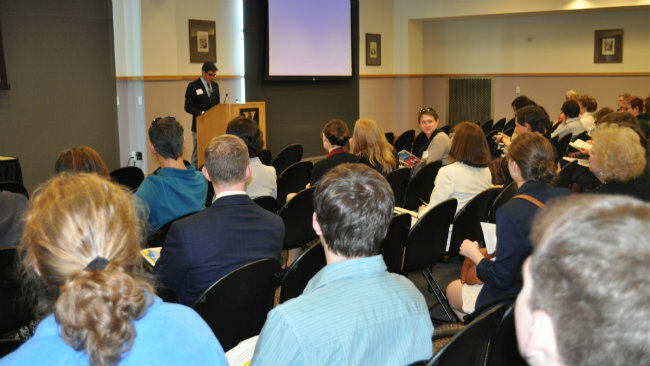 WHAT IS THE UNDERGRADUATE WRITING SYMPOSIUM? 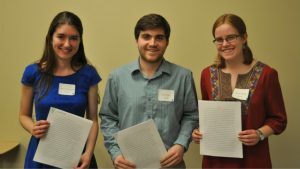 Held each year in late March, the Undergraduate Writing Symposium showcases exemplary writing by Vanderbilt’s undergraduates while honoring their achievements as writers and scholars. 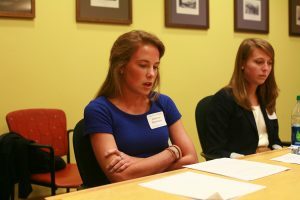 Much of the event follows the model of an academic conference: each participant reads her or his selected piece of writing aloud as part of a panel of presenters. Each panel brings together a group of papers on a related topic and includes time for discussion between panelists and their audience following the presentations. 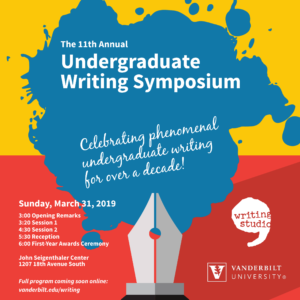 In spring 2019, to mark the beginning of its second decade, the Undergraduate Writing Symposium will spotlight in new ways both the achievements of first-year writers and major writing projects undertaken by seniors. 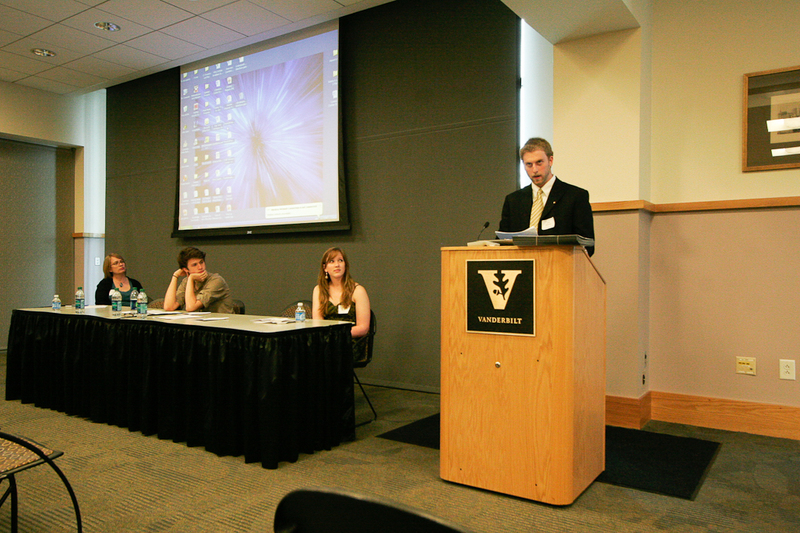 Presenting at the Undergraduate Writing Symposium was an invaluable experience. It was one of my first opportunities to present my writing in an academic environment, and it was rewarding to both hear my peers’ insightful work and to receive thoughtful feedback and questions on my own presentation. It was particularly interesting to see how writing pieces from different subjects complemented each other in the context of the panel, exemplifying the idea of a liberal arts education. Learn more: Browse this year’s schedule. Check out the schedule for the 2018 Symposium or read a post describing the 2017 Undergraduate Symposium. 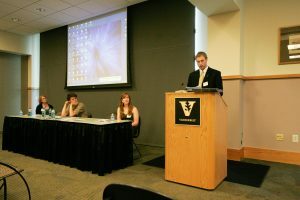 Although anyone in the Vanderbilt community can attend the symposium as an audience member, becoming a symposium presenter involves a highly competitive process. That process begins each January with the Writing Studio’s call for nominations. We invite faculty to nominate the strongest pieces of writing they’ve seen in their classes, while also allowing students to self-nominate papers they are proud of. The Writing Studio welcomes nominations of argumentative essays, research reports, creative pieces (fiction, poetry, etc.) and other writing projects that can be read aloud. We also encourage multimodal compositions that showcase Vanderbilt students producing pieces that stretch how we define “writing” in our digital age. Any piece completed during the previous calendar year (the previous fall and spring semester) is welcome to compete for inclusion in the event. Faculty nominations: Faculty, click here for our faculty nominations page. 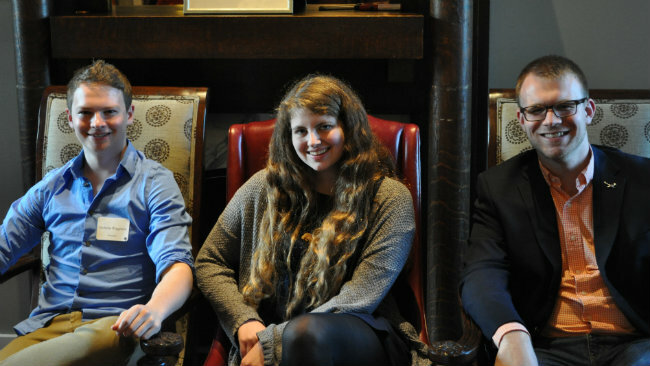 Student Self-nominations: Undergraduates, click here for our student self-nomination page. Once submitted, all nominated pieces of writing are assessed by multiple readers in a blind review process (meaning submissions are judged anonymously). Following the blind review, we invite the authors of our highest scoring submissions to present their pieces on a panel at the symposium. Leading up to the symposium, those invited to present also receive written feedback from one of their reviewers on how they might revise for presentation, and all are encouraged to make an appointment for a Writing Studio consultation as they do so. New for Spring 2019: This year all first-year submissions to the symposium will be competing for inclusion in a digital first-year showcase to be featured at the symposium. Following our review process, the authors of the highest scoring submissions will be invited to prepare their pieces for digital publication and to submit a short video of themselves reflecting on the writing of the piece and what they learned to be published alongside it. All pieces included in the digital showcase will also be eligible for prizes in several categories, which will be announced during an awards ceremony at the symposium’s conclusion. When writing within the context of a course, it is easy to lose sight of the greater purpose and possibilities of academic and creative writing beyond the instructor and the grade. The Undergraduate Writing Symposium served as a reminder of why we write in the first place, allowing for the sharing of student works in a format conducive to meaningful discussion and analysis. I was impressed by the quality and the variety of papers presented at the Undergraduate Writing Symposium. One panel I chaired included an informal first person reflection on participating in an improvisational music event, an argumentative analysis of a philosophical treatise, and a descriptive discussion of the scenic elements of a theatrical production. Best of all, for me, was seeing the students selected for the symposium present their work in a forum that took their writing seriously and honored their considerable achievements. I was present for the first Undergraduate Writing Symposium years ago, and I have attended all but one since that time. For me, this is one of the most important, and most exciting, events that the University sponsors during the year. Click here to read more of Dean Moore’s reflection on the Symposium.